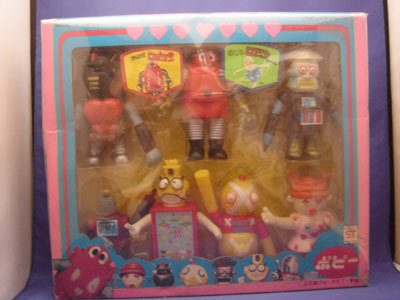 Being one of Japan's most iconic characters, there are a ton of Robocon toys out there. So when I got one of these loose in a box, tracking down its origins was a difficult task. 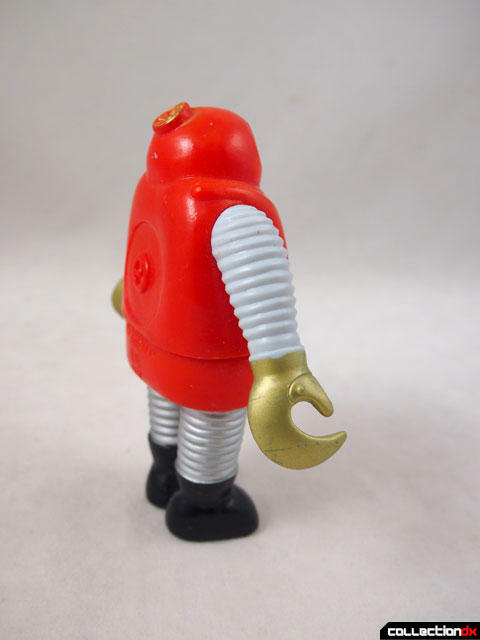 At only a few inches tall, it's one of the dumpiest representations of Robocon out there. Being an early release, Popy didn't care too much bout being "screen accurate". 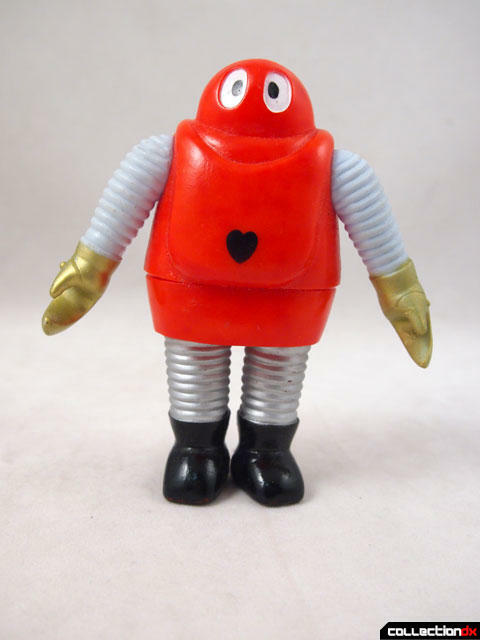 Kids just wanted Robocon in any way they could get their hands on him. 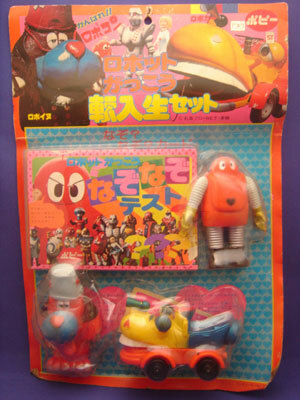 I initially thought this came bagged like most small vinyls of the time but I could never find an image of this particular Robocon in a bag. 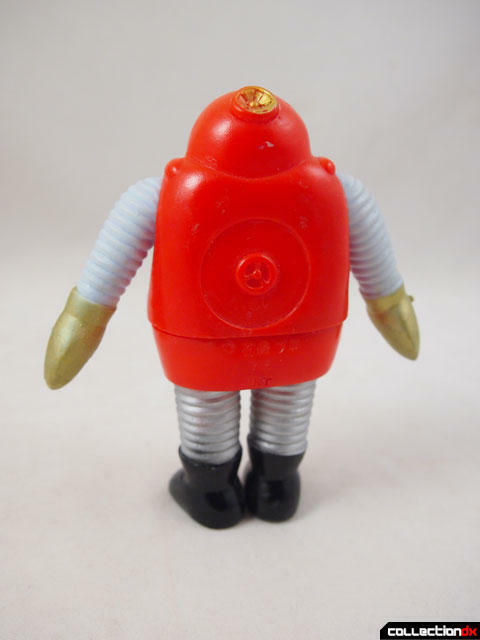 I could however find numerous instances where this toy was used in carded sets with other characters or accessories. 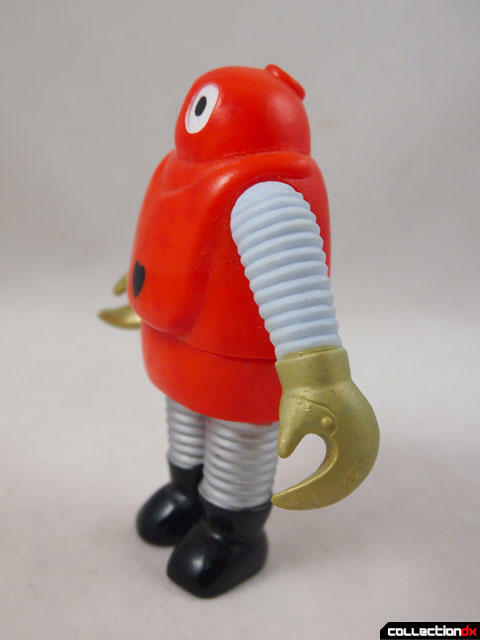 With no separate antenna and no opening chest, this was clearly meant to be a cheap version of Robocon to stuff into affordable novelty sets - the Japanese equivalents of the Rack Toys we saw in the US. To complicate things a little more, there are two versions of this toy out there. One has open eyes, and one has squinty closed eyes. There may be much more to learn about these cheap vinyls, but that's one area where I am not an expert. I welcome any additional information or corrections you have. Bad, but cute nonetheless. Like you said, the object was to get it into kids' hands any way possible. I wouldn't have thrown this back if I was a kid. This would have been like a take-along buddy figure for me. No diecast to chip or parts to lose. Think of the adventures you could have with this thing!